Born 14 weeks early on September 23rd, weighing a mere 10 ounces, E’Layah Faith Pegues has surprised many with her fighting spirit. The smallest surviving premature baby ever born at The Carolinas Medical Center in Charlotte, N.C., and “one of the world’s smallest babies ever born,” E’Layah has finally be released from the NICU to join her family at home. “Even our equipment, even our diapers that we have for our smallest babies were too big for her. 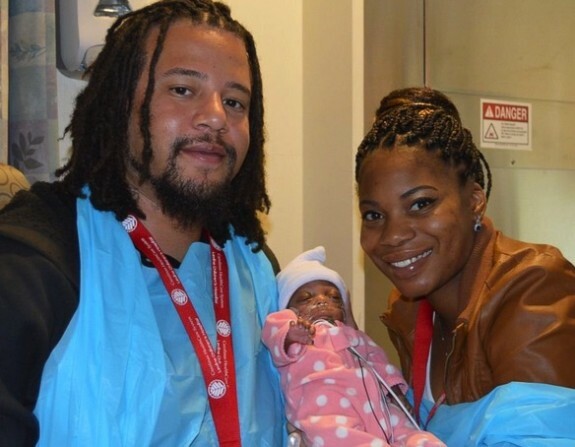 So, we had to be very creative in taking care of her,” said Dr. Jessica Clark-Pounder of Levine Children’s Hospital. E’Layah’s parents, Megan Smith and Eric Pegues, are excited, but anxious about having their baby home. Carolinas Medical Center, and later Levine Children’s Hospital has been their home for the past 5 months, but now it’s time to start a new chapter. 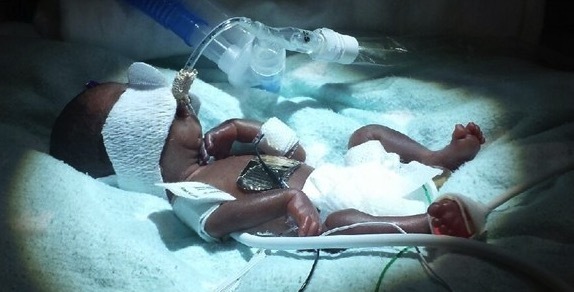 E’layah now weighs five pounds and seven ounces, but she still has progress to make. Doctors are amazed, however, with over her progress over the past few months. When we first wrote about E’Layah at the end of December, doctors had hoped could have gone home in January, but there were complications. But now the wait is over, and the couple can start their lives with their miracle baby girl. Jennifer Garner Does The School Run With Her Girls!